Very modern decor. Great location and great communication from the owners. Would recommend. Really great location and comfortable beds. 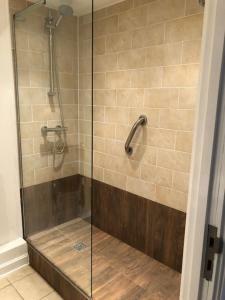 Perfect for what we needed for the weekend! The apartment was very modern with the smart tv and nicely decorated. Apartment was nice and modern. Facilities seemed good, but I didn’t use all of them so I can’t really comment. It was in a good location though a little tricky to find initially. Dat het precies leek op de foto. Het was goed verzorgd en alle faciliteiten waren schoon en aanwezig! Mega goede prijs- kwaliteit verhouding. En de locatie was perfect! 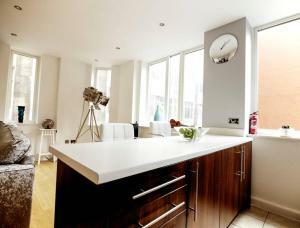 Lock in a great price for Glamorous 2 Bed Apartment- Northern Quarter Manchester - rated 8.4 by recent guests. 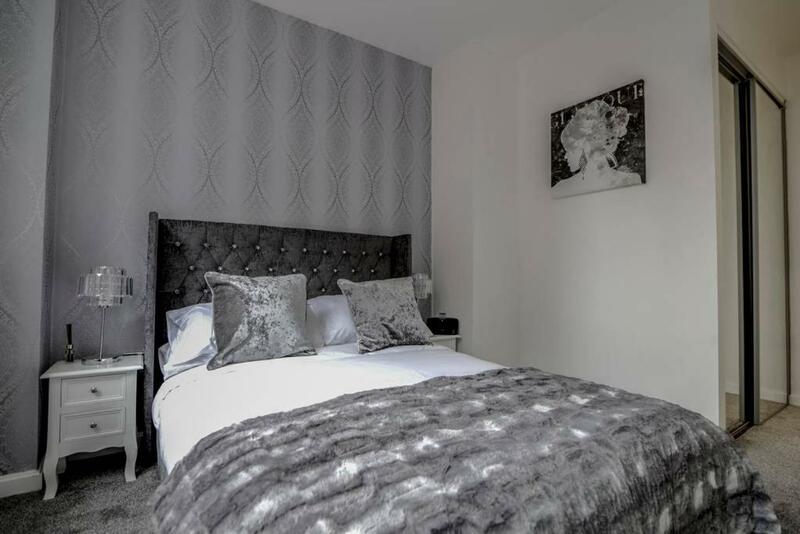 Offering free WiFi, Glamorous 2 Bed Apartment- Northern Quarter Manchester is located in a central area of Manchester, just 550 yards from Greater Manchester Police Museum. The apartment is 1.1 miles from Manchester Arena. 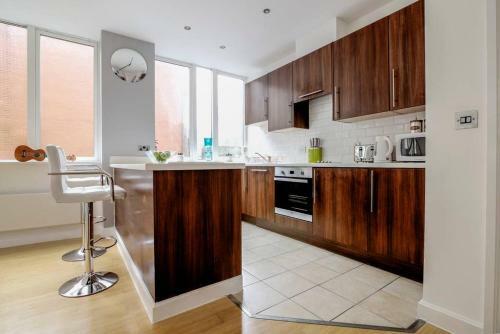 This apartment features 2 bedrooms, a flat-screen TV, and a kitchen with an oven. 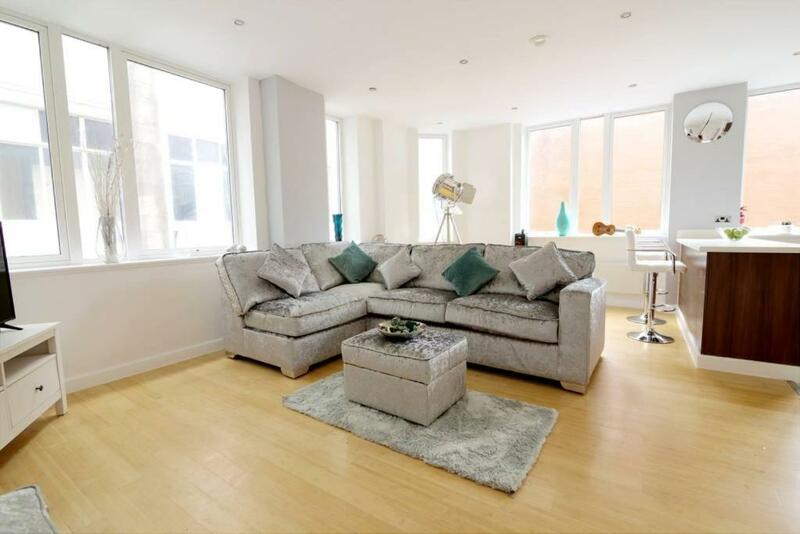 Canal Street is 1.1 miles from Glamorous 2 Bed Apartment- Northern Quarter Manchester, while Chetam's Library is 1.2 miles away. 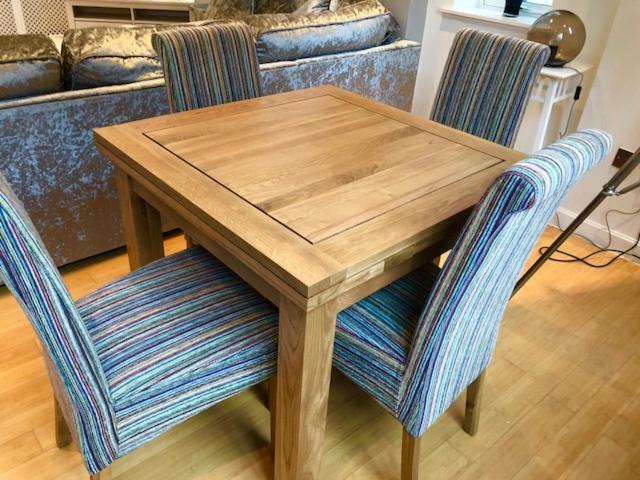 The nearest airport is Manchester Airport, 9.9 miles from the accommodation. Glamorous 2 Bed Apartment- Northern Quarter Manchester has been welcoming Booking.com guests since 14 Feb 2018. When would you like to stay at Glamorous 2 Bed Apartment- Northern Quarter Manchester? 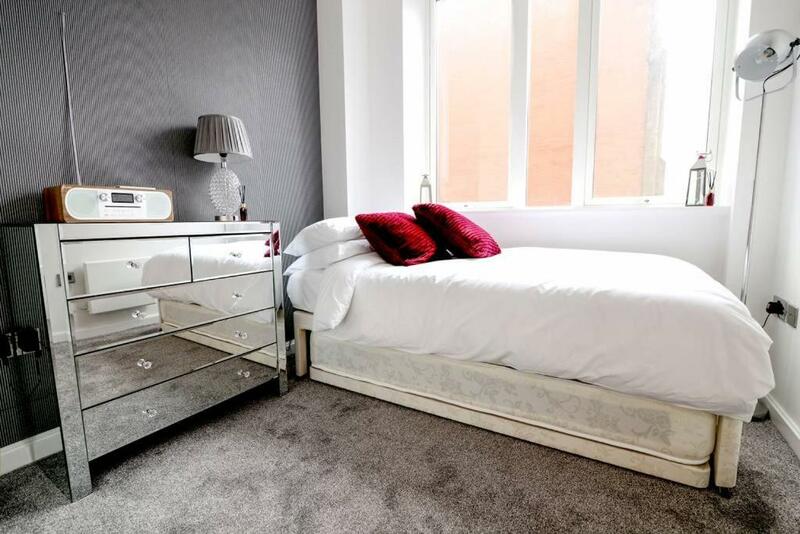 House rules Glamorous 2 Bed Apartment- Northern Quarter Manchester takes special requests - add in the next step! A damage deposit of GBP300 is required 14 days before arrival. This deposit is fully refundable 7 days after check-out as long as there has been no damage to the property. A damage deposit of GBP 300 is required. The host charges this 14 days before arrival. This will be collected by bank transfer. You should be reimbursed within 7 days of check-out. Your deposit will be refunded in full via bank transfer, subject to an inspection of the property. 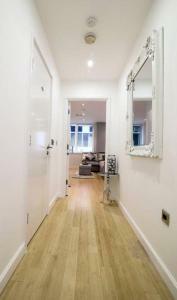 Please inform Glamorous 2 Bed Apartment- Northern Quarter Manchester in advance of your expected arrival time. You can use the Special Requests box when booking, or contact the property directly with the contact details provided in your confirmation. 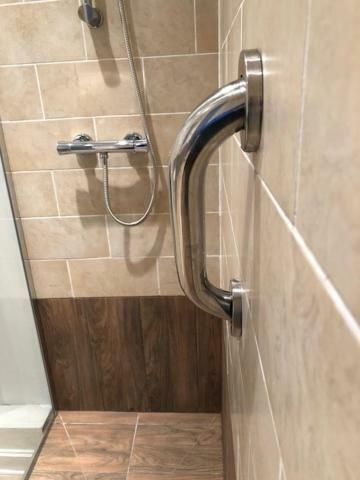 Dishwasher wasn’t working and the shower isn’t very powerful at all. The open plan lounge and kitchen area. Attempted to contact host upon arrival one hour to wait at 3.30pm to check in key not found. Water off. Heating did not work. Bathroom dirty. So disappointed. When collecting the keys the guy didn't really know what was happening or where the apartment was. There was also no letter box at shop for us to put the key through but we tried our best to hide it safely apart from that it was great! The shower didn't drain and as there was no shower tray to collect the water, it meant we couldn't shower at all during our stay as the bathroom would flood every time you turned the shower on. The entire apartment stunk of bleach and the floors were covered in it when we arrived. The was no signage throughout any of the building so it was very difficult to navigate. The lock chain had been removed from our door, leaving only a thumb turn as security. Some of the plug sockets were hanging off the wall, exposing wires. All of the glasses in the kitchen were still wet and dirty. When picking up the keys from a convenience/ phone store (strange to begin with) we were told that we would need to wait for the store to open at 9.30am the next day in order to drop the keys off. As we were leaving at 8am they said we needed to drop the keys in the gap between the main shop shutter and the cash point as they had no letterbox! It all just felt very unprofessional and disappointing. I found the collection of keys from a convenience store very ‘inconvenient’ despite being told it was on way to Piccadilly train station (it certainly wasn’t the way I went). But to find the store closed when dropping the keys off was extremely disappointing! Lovely interior, very chic and comfortable! Would have been better if we could have booked in at between 12:00 and 14:00 due to having an event to attend. Had to change our plans as we were not able to pick the key up until 15:00 at the earliest. Made it work but delayed our night. Didn't get out to the northern quarter until 22:00 due to this.